Catherine O’Leary’s cow. Gavrilo Princip. The hayfork of a drunk hired hand. Sometimes things have consequences all out of proportion to what we expect. In my list, Catherine O’Leary’s cow is reputed to have kicked a kerosene lantern in 1871 and thereby cause the Great Chicago Fire, resulting in the death of some 300 people and the destruction of about a third of the city’s value. Gavrilo Princip was a 19-year-old man who assassinated Archduke Franz Ferdinand of Austria, setting off a series of events that resulted in the Great War of 1914 – 1918. And the poor hired hand? The story goes that one day when Wayne Wheeler was a boy, he was working on his family’s farm and his leg was poked by the hayfork of a drunken worker. It traumatized him and he spent much of his life devoted to the abolition of alcohol, becoming the de facto leader of the Anti-Saloon League. His efforts, organizing churches and other small temperance groups to implement a particularly effective form of pressure politics were instrumental in bringing about passage of the Eighteenth Amendment to the U.S. Constitution prohibiting “the manufacture, sale, or transportation of intoxicating liquors” within the U.S. He claimed to have substantially written the National Prohibition Enforcement Act (a fact that the Act’s official author, Andrew Volstead, repeatedly denied) establishing executive power to enforce the Eighteenth Amendment. The full text of the Volstead Act can be found here. During the 13 years that prohibition was in effect in the United States, alcohol consumption dropped by an estimated 30 percent as legal avenues for access disappeared and costs through illegal avenues rose higher than many people could afford. It is generally accepted that the consequences of this experiment were mostly a flagrant contempt for the law and the rampant creation of illegal alcohol-distribution mechanisms. What is sometimes forgotten is the role that physicians played in maintaining access to alcohol. 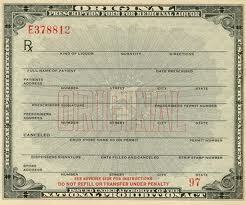 They provided one of the few legal ways to obtain alcohol since the Volstead Act carved out an exception to “use liquor for medicinal purposes when prescribed by a physician.” The alcohol prescription pads of the time look almost quaint today, with alcohol consumption as much a part of modern society as it was in the time before prohibition. The idea of drugstores maintaining shelves of government-produced whiskey to dispense to those with prescriptions strikes our current mindsets as almost amusing. It seems obvious to have been an exercise in futility trying to suppress a product so pervasively a part of the prevailing culture. The experiment on marijuana prohibition may similarly be coming to end, although that experiment has lasted far longer than the prohibition of alcohol. In the early 1900’s, marijuana had been almost unknown in the United States, but it started to become more popular as Mexicans immigrated into the U.S., prompting efforts to ban it. In these efforts, California has always been key, leading the way as other states progressively followed. California was the first state to ban marijuana in 1913, with many other states following in due course thereafter. California was also the first state to soften its stance on marijuana consumption, allowing medical uses in 1996. Again, many other states followed in due course. And in next week’s election, California may again lead the way in fully relegalizing marijuana with its Proposition 19. A copy of the text of the proposition may be found here. It is worth noting that efforts to fully legalize marijuana in Alaska have failed, even though a 1975 case found personal use of marijuana at home protected by an unusually strong privacy provision in the Alaska Constitution. In many ways, the currently availability of marijuana for medical purposes in a number of States mirrors what occurred during the era of alcohol prohibition, although marijuana is probably recognized for more legitimate medical purposes than alcohol. 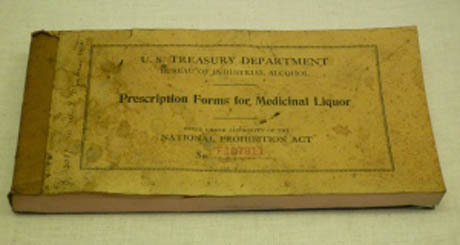 During the period of alcohol prohibition, the availability of medical prescriptions made a mockery of prohibition efforts. To be certain, there were many who believed in the therapeutic value of alcohol and there are genuine medical treatments to be had with alcohol, but most prescriptions were filled simply so that people could experience its intoxicating effects. Similarly today, many believe that medical prescriptions for marijuana make a similar mockery of efforts to prohibit its use more generally. Again, there are legitimate therapeutic uses for marijuana, but an honest assessment of medical-marijuana laws is that they have been used as a wedge to gain legal access to its psychoactive properties. Even if California relegalizes marijuana in next week’s vote, there is still the matter of federal drug-regulation statutes, which prohibit the use of marijuana throughout the United States. In addition to the banning of marijuana use by several states, the federal government began to regulate its use nationally with passage of the Marijuana Tax Act in 1937. A copy of the Act’s text may be found here. What is perhaps interesting about the Marijuana Tax Act is that it included a specific exception for medical uses prescribed by physicians. The current Controlled Substances Act, which was passed in 1970 in response to President Nixon’s declaration of a “war on drugs” and supplanted the Marijuana Tax Act, includes no such exception. A conflict thus exists between federal and state law in the several states where medical uses of marijuana are permitted under state law. The conflict was tested shortly after California decriminalized such uses in 1996 in the case of Gonzales v. Raich. A copy of the full opinion can be read here. While the case confirmed the authority of the federal government to ban the use of marijuana even in states that have approved it for medical purposes, the policy of the Obama administration has been not to enforce the federal ban with respect to medical users. The ultimate impact of California’s decision next week will be interesting and may well take years to understand fully. But one thing is certain: if the proposition passes, it is a certainty that similar proposals will be tried in other states and that additional pressure will be brought to bear on the federal government to follow the lesson of prohibition to its ultimate conclusion. John Entick was annoying. His prose was not particularly good and he used it often to criticize the government of the day, sometimes writing blistering attacks in The Monitor. But the solution to this annoyance was relatively simple: On November 11, 1762, four messengers of the King acting on warrant orders of Lord Halifax broke into Entick’s home to seize his private papers. It didn’t matter that boxes and desks were locked; the locks were easily broken so that their confiscation of anything troublesome could be complete. Entick challenged the lawfulness of the search in the case of Entick v. Carrington. It would prove to be one of the more important cases in English law that helped to shape the Fourth Amendment to the U.S. Constitution, which asserts the right of individuals not to be subjected to unreasonable searches or seizures by the government without the issuance of a warrant that is based upon probable cause and that is reasonably particular in describing what is to be searched or seized. Entick prevailed in the case, with the court ruling that the warrant issued by Lord Halifax was defective because there had been no demonstration of probable cause that Entick had committed a crime and because the warrant was too broad in allowing such a general confiscation. While the language in the ruling is somewhat archaic, it can be read here. The Fourth Amendment to the U.S. Constitution is the most important constraint on the ability of the government to engage in fishing expeditions for evidence of wrongdoing. We all recognize the need for the government at times to engage in searches for evidence; it is a necessary part of the process of law enforcement. But it cannot do so capriciously. There is otherwise too great a potential for misuse of police powers by the state. At times, it seems as though this fundamental principle is forgotten. There have been reports in the news over the last several months regarding the use of GPS tracking devices by the police. The pattern is generally the same: the police attach such a device to a vehicleand then keep track of everywhere its owner goes. It is astonishing how much can be inferred about a person’s private life just by having access to that information. What is alarming is not so much that the government makes use of this technology in law enforcement, but that these devices are being used without a warrant ever being issued and that this practice is being sanctioned by at least some courts. The facts considered in United States of America v. Juan Pineda-Moreno are clear: Drug Enforcement Agency officers saw a group of men buy a large amount of fertilizer often used to grow marijuana and so snuck into the driveway of one of them at about 4:00 AM, attached a GPS device to his Jeep, and then monitored his whereabouts with the device. They had no warrant. The Ninth Circuit found that this did not violate the Fourth Amendment, even though the Jeep was parked in the man’s driveway at the time. A copy of the opinion can be read here. Other jurisdictions have come to a different view, finding instead that these types of actions — attaching tracking devices to vehicles without a warrant so that a person’s movements can be monitored — do violate the Fourth Amendment, and I find myself in greater sympathy with them. At issue is what the scope of our rights to be free from “unreasonable” searches should be when technological advances enable the police to monitor people in ever more intrusive ways. An important dissent in the Ninth Circuit case spells out some of the ramifications. A copy of that dissent can be read here (the dissent is technically to a request for en banc rehearing and not to the deciding opinion itself). 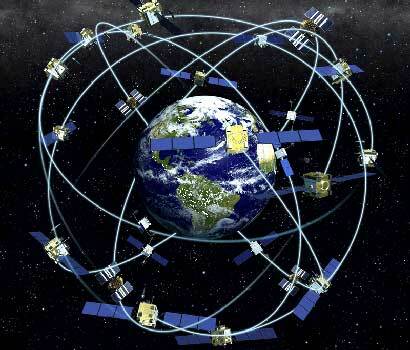 It is not just GPS devices snuck onto our cars in the dead of night that are used to monitor us. Consider the use of cellular telephones, whose location may also be readily determined. At the request of the government, cell-phone providers will obligingly ping a cell phone to determine its location and provide that information to the police. The provider Sprint has disclosed that last year it provided 8 million such location ping results to the police. The number of requests became so great that Sprint developed an automated web site to enable the police to check on the location of cell phones at will. Services such as LoJack or OnStar are also used by the police to identify the location of vehicles. Credit-card suppliers will inform the police where the cards have been used. Entick v. Carrington warns us of the potential for abuse when governments are given unfettered power to conduct searches. As the U.S. Supreme Court noted more than a hundred years ago, that case “was welcomed and applauded by the lovers of liberty in the colonies … it may be confidently asserted that its propositions were in the minds of those who framed the fourth amendment to the constitution .” Boyd v. United States, 116 U.S. 616 (1886). It is a mistake to trust governments with that kind of unrestricted power. Not because they will necessarily be malicious in using it — although we are too well aware that that does also happen at times — but more broadly because the natural temptation in pursuing even legitimate ends may perniciously encroach on the rights of those who have done nothing wrong. As technology continues to advance, we need to be vigilantly on guard to resist that encroachment when we give power to those who govern us. One of the most impressive stories of global human cooperation began in 1796 with a young dairymaid named Sarah Nelms. The stories had been apocryphal, mere legends whose truth was suspect: dairymaids did not get smallpox. Smallpox, of course, was one of the great scourges mankind has faced. Evidence has been found for the disease in Egyptian mummies who died at least three thousand years ago. Human history is rife with descriptions of smallpox decimating local populations when it was introduced to areas where it was previously unknown. Smallpox epidemics in North America after introduction of the disease by settlers at Plymouth in 1633 are estimated to have had 80% fatality rates among the native population. Similar results occurred later in Australia with aborigines. Numerous isolated island settlements in both the Pacific and Atlantic had almost all of their native populations wiped out by the disease. The fact that dairymaids seemed to have a peculiar immunity to smallpox was remarkable, a consequence of the fact that they had frequently suffered from cowpox, a much less fatal disease. 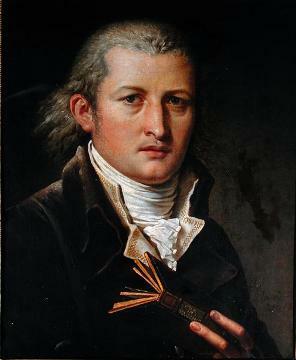 It was Edward Jenner who recognized that deliberate infection with cowpox could serve as a way to protect against smallpox. On May 14, 1796, he obtain matter from fresh cowpox lesions on the hands and arms of Sarah Nelms, using it to infect James Phipps, an eight-year old boy. 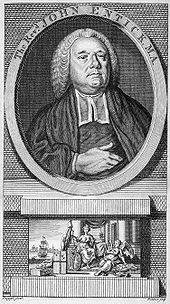 James developed fever, loss of appetite, and discomfort in his armpits — symptoms of cowpox — and recovered about a week and a half after being infected. A couple of months later, Jenner infected him again, but this time with matter obtained from smallpox lesions, and no disease developed. It would take Jenner some years to persuade scientific colleagues that “vaccination” in this way — the word being derived from the latin “vacca” for cow and “vaccinia” for cowpox — could prevent the spread of smallpox. He was ultimately vindicated. The end result of his campaign came on December 9, 1979 (and endorsed by the World Health Assembly on May 8, 1980) with a certification that smallpox had been eradicated from the planet except for some small stores maintained for research purposes. On October 12, the Supreme Court of the United States will consider oral arguments in what is likely to be a pivotal vaccination case. 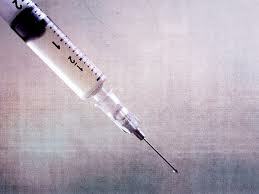 At issue is a portion of the National Childhood Vaccine Injury Act, originally passed in 1986 (42 U.S.C. §§ 300aa-1 – 300aa-34). Aside from its independent relevance, the Vaccine Act is interesting because it can be seen as a case study for many current efforts to introduce broader tort reform prompted by the concern, popular in some circles, that compensation awarded in tort cases is excessive and that litigation is generally an ineffective mechanism for giving compensation. Vaccine cases have traditionally been handled under state law, particularly conventional products-liability law. The Vaccine Act was intended to provide a substitute mechanism for compensating those who may have been injured by vaccines that they received. At the time, there was active protest by the manufacturers of vaccines, who complained that the cost associated with lawsuit threats was too high and who threatened to cease production of vaccines because the economic risk was too great. At the same time, those who were injured by vaccines were generally dissatisfied — the time taken to litigate claims and engage in settlement negotiations was long and the entire process was costly, still sometimes resulting in no compensation at all. These are all arguments that are still currently made more broadly by advocates of broader tort reform. Congress created an administrative program that focuses on compensation to the victims of vaccine-related harms. If a victim can demonstrate receiving a vaccination of a particular type listed in a special Vaccine Injury Table, he or she is awarded compensation, without regard to either fault or causation. This takes place in the Office of Special Masters of the U.S. Court of Federal Claims, commonly called the “Vaccine Court.” If the compensation is unsatisfactory or if no award is made, the possibility still exists to bring a tort claim. The program thus attempts to strike a balance between allowing claims to be brought in the traditional manner, while at the same time offering an alternative that results in faster and more predictable claims being paid. How much the program is used thus offers an interesting perspective on the success of such a tort alternative. It is this provision that is at issue in the case being heard by the Supreme Court. The fact that an injury is “unavoidable” from use of a product does not normally insulate the manufacturer of the product from having to pay damages when it injures someone. Indeed, “design defects” of products frequently give rise to damages — it does not matter that the product was flawlessly produced in precise accordance with specifications and with extreme care; if it has a faulty design that injures people, there is still liability for the injuries. In 2008, the Georgia Supreme Court held that the Vaccine Act does not preempt all design defect claims — only those where the injurious side effects were unpreventable. That decision can be read here. In 2009, a federal appeals court ruled that all design-defect claims are preempted, i.e. even if it were possible to prepare a safer form of the vaccine, there is still no permissible state tort claim arising from use of the more harmful design. That opinion can be read here. While the issue the Supreme Court will consider appears at some level to be a narrow one in that it is a matter of resolving a disagreement over statutory interpretation, it has broader importance. In the quarter century since it was passed, about two thirds of those applying for federal injury compensation have been turned away empty-handed. The program was sold as one in which the adversarial nature of litigation claims was to be avoided, but critics suggest that proceedings before the Vaccine Court have turned out to be nearly as time-consuming, expensive, and contentious as traditional litigation. Many thus consider this experiment in tort reform to have been a failure, and a decision on one of the Vaccine Act’s more important provisions by the nation’s highest court will help determine whether such a view is warranted. 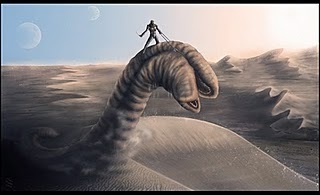 There is a singular moment in the novel Dune when Paul Atreides mounts and controls a sandworm, one of the enormous creatures that tunnel through the sand of the desert world Arrakis. It is an image that has been repeated numerous times in novels and on film — perhaps notably in Avatar when Jake Sully successfully tames the enormous flying beast Toruk — and which has been used countless times before Dune as a defining symbol. The outsider tames what only those who are members of an inner circle have any hope of controlling, and he thereby becomes part of the group, perhaps even its leader. Dune was published in 1965 at a time when nations were coming to a full understanding of the role that oil had taken in the world’s economies in the time since Henry Ford built the first gasoline-powered automobile in 1896. In Dune, the economy of the entire galaxy is reliant on melange or “spice,” a substance whose existence is directly linked with the sandworms over which Paul achieves dominion. Until Paul disrupts what has become the natural order of things, access to the spice is controlled by the Combine Honnete Ober Advancer Mercantiles (“CHOAM”). In an interview in 1980, the author Frank Herbert acknowledged that the spice was a metaphor for oil and that CHOAM was a metaphor for the Organization of the Petroleum Exporting Countries (“OPEC”), the cartel whose infamous imposition of oil embargoes during the Yom Kippur War in 1973 still echoes today. Limiting access to foreign sources of oil precipitated rationing measures in the United States as lines of cars snaked over streets waiting for access to gasoline pumps: an extension of Daylight Savings Time, a ban on gasoline sales on Sundays, calls for homeowners to turn down their thermostats and for companies to trim their work hours. The nation looked inwards, hating that it could be crippled by such foreign dependence. Congress approved construction of the Trans-Alaskan oil pipeline, which was completed in 1977, the same year that the still-ongoing debate over whether to drill for oil in the Arctic National Wildlife Refuge began. In 1975, Congress introduced the Corporate Average Fuel Economy (“CAFE”) standards as a measure to improve the average fuel economy of vehicles in the United States. Between 1975 and 1988, the fuel economy of new cars and trucks inceased by 70%. Since that time, there has been relative stagnation in fuel economy even as there have continued to be scientific and technological advances that allow its improvement. Rather than increase the overall fuel economy of vehicles, the gains in efficiency extracting energy from gasoline have been used instead to produce larger and more powerful vehicles. On May 21, 2010, President Obama issued a Presidential Memorandum calling for “steps [to] be taken to produce a new generation of clean vehicles.” A copy of the memorandum can be found here. Last week, the Environmental Protection Agency (“EPA”) and the National Highway Traffic Safety Administration (“NHTSA”) together responded to that memorandum by issuing a Notice of Intent to develop new standards for both greenhouse-gas emissions and fuel economy for light vehicles for the years 2017 – 2025. The current standards that cover model years 2012 – 2016 require average emission levels to be less than 250 g of CO2 per mile with a fuel efficiency of 35.5 miles per gallon. A copy of the Notice of Intent can be read here. The Notice provides an overview of standards that might be considered, considers the technologies that would be needed to meet those goals, and calls for feedback from the public. The current deadline for public comment is the end of this month, with plans to issue a second notice on November 30 that includes an updated analysis of the potential efficiency targets. While no actual standards have yet been developed, the outline of possible standards in the Notice is informative, providing scenarios that range from a fuel efficiency of 47 mpg to as high as 62 mpg. Already, some environmental groups have indicated an intention to press for the highest standards, but many think this is unrealistic in light of the realities of consumer demands for vehicle size and performance. Nevertheless, the Governors of eight states have sent a letter to the President calling for standards of 60 mpg by 2025. A copy the letter from the New York Governor can be read here. Putting increased pressure on vehicle manufacturers to meet higher fuel economy standards is generally welcome news, and the new standards could provide a measure of time in which those standards catch up with technical advances that have been made over the last fifteen years. It is one part of what could be a comprehensive strategy to develop independence from foreign oil sources, a strategy that includes not only conservation efforts but also more aggressive pursuit of other sources of energy such as through nuclear power generation. Despite efforts to avoid the consequences of a similar reduction in access to foreign oil since the embargo of 1973, U.S. reliance on imported petroleum has nonetheless increased since then so that 57% of the oil currently used in the United States is imported. It is unrealistic to expect draconian reductions in living standards to be readily accepted. But at the same time, it is foolish not to be ambitious in insisting that we take advantage of technological developments that allow us to make the best use that we can of our resources.